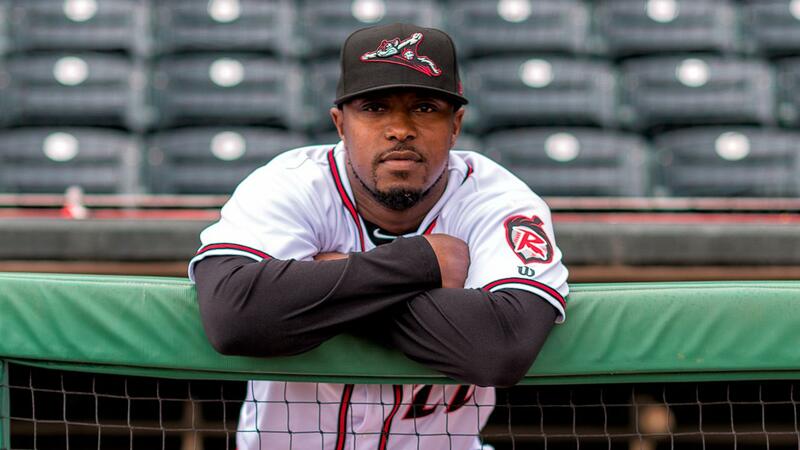 FUNNVILLE - Willie Harris will return in 2019 for his second season as the manager of the Richmond Flying Squirrels, the team announced on Friday. Pitching coach Glenn Dishman, hitting coach Francisco Morales , bullpen catcher Eliezer Zambrano and strength & conditioning coach Jonathan Medici will also return from last year's staff. Additionally, former Flying Squirrels athletic trainer Garrett Havig will be back with the team this season, and former hitting coach Lipso Nava will return to Richmond as the club's fundamentals coach in 2019. "We are excited to have Willie, Mo, Dish, Zamby and Jon back for another year and excited to be reunited with Lipso and Garrett," Flying Squirrels VP & COO Todd "Parney" Parnell said. "To have an entire staff that has spent at least a year here, knows the media, front office, fans and the unique relationships and way we do things here will be invaluable to what we will accomplish on and off the field in 2019, which will be of epic levels in our tenth season." The upcoming season marks Harris' third as a manager in the minors. He began his coaching career with the Chicago White Sox system in 2016 as the hitting coach for the Great Falls Voyagers (Advanced Rookie - Pioneer League). He was promoted to manager of the Winston-Salem Dash (Adv.-A - Carolina League) in 2017, going 56-83 as the club posted the third-best team batting average (.263) in the circuit. During his first season with the Flying Squirrels in 2018, Harris led the team to a 62-76 record. The team saw two players, Aramis Garcia and Ray Black, rise from Double-A to the majors by the end of the year for the first time in their careers. Harris, 40, becomes just the second manager in franchise history to lead the club for multiple seasons, joining Dave Machemer (2011-13). "Willie comes to the yard every day like it is his first day on the job," Parney said. "His level of energy and love for the game is off the charts and he is a joy to be around on and off the field. We are privileged to have him not only as our manager but as our great friend." A native of Cairo, Ga., Harris played 12 seasons in the majors with the Baltimore Orioles, Chicago White Sox, Boston Red Sox, Atlanta Braves, Washington Nationals, New York Mets and Cincinnati Reds. Harris notably scored the lone run in Game 4 of the 2005 World Series, reaching base on an eighth-inning, pinch-hit single before scoring on a hit by Jermaine Dye as the White Sox capped a sweep of the Houston Astros. Dishman, 48, returns for his fourth season with the San Francisco organization and his second with the Flying Squirrels. Under his direction in 2018, Richmond pitchers combined for a 3.91 ERA, fifth-best in the Eastern League, and compiled 39 saves, tied for second-most in the league. He joined the Giants organization as the pitching coach for the rookie-level Arizona League affiliate in 2016. The team reached the league's championship series in 2017 and ranked third in the circuit with 525 strikeouts on the year. Dishman began his coaching career in 2004 on the staff at Ohlone College in Fremont, Calif. Beginning in 2005, he spent seven seasons in the Los Angeles Dodgers organization, serving as the pitching coach for the Columbus Catfish (Single-A - South Atlantic League), Vero Beach Dodgers (A-Adv. - Florida State League), Great Lakes Loons (Single-A - Midwest League), Jacksonville Suns (Double-A - Southern League), Chattanooga Lookouts (Double-A - Southern League) and Albuquerque Isotopes (Triple-A - Pacific Coast League). As a player, Dishman began his professional career with the San Diego Padres organization in 1993 and reached the majors for the first time in 1995. After splitting 1996 between San Diego and the Philadelphia Phillies, he concluded his MLB career in 1997 with the Detroit Tigers. Overall, he appeared in 33 MLB games and made 21 starts. He continued to play professionally through the 2002 season. Morales, 45, returns for his second season as hitting coach for the Flying Squirrels and his second overall with the San Francisco organization after Richmond's hitters ranked third in the league in doubles (240) last year. A native of the Dominican Republic, Morales coached in the San Diego Padres' system from 2014 through 2016. He was the hitting coach for the San Antonio Missions (Double-A - Texas League), managed the Fort Wayne TinCaps (Single-A - Midwest League) in 2015 and began the 2016 season as the manager of the Lake Elsinore Storm (A-Adv. - California League). Beginning in 2005, Morales spent two years as an instructor at the Arizona Diamondbacks' Dominican Academy. He coached with the Yakima Bears (Short-season - Northwest League) in 2007 and the South Bend Silver Hawks (Single-A - Midwest League) from 2008-10. From 2010-13, Morales was a bullpen catcher with the Cleveland Indians. Morales played parts of eight minor league seasons with the St. Louis Cardinals, Chicago Cubs, Montreal Expos and independent teams. Nava is back with the Flying Squirrels after spending 2018 as the manager for the San Jose Giants (A-Adv. - California League). This year marks his 12th season with the Giants organization and his second in Richmond, where he served as the hitting coach in 2017. Prior to his first run with the Flying Squirrels, Nava was San Jose's manager in 2016 and the club's hitting coach the previous three seasons. He spent three years as the hitting coach for Augusta (Single-A - South Atlantic League) from 2008-10. Nava managed Augusta in 2011 and 2012, leading the GreenJackets to the South Atlantic League postseason in 2011. In 2016, Nava was named as the Venezuelan Winter League's Manager of the Year with Aguilas del Zulia. As a player, Nava was an infielder across seven minor-league seasons with the Seattle Mariners, Boston Red Sox and Chicago Cubs organizations, reaching as high as Triple-A. A member of the Flying Squirrels since the club's inaugural season in 2010, Zambrano returns for his second season as the team's bullpen coach in 2019. "The Original Squirrel" played for the team in each of its first eight seasons from 2010 through 2017, totaling 216 games and 691 plate appearances. Overall, he spent 12 seasons as a player in the Giants system before transitioning to coaching for the 2018 season. Off the field, Zambrano has been a constant representative of the Flying Squirrels in the Richmond community through kids camps, events and community appearances. A member of the Flying Squirrels' staff in 2017, Havig returns to Richmond after spending the 2018 season as the Giants' Assistant Coordinator of Minor League Medical. Entering his tenth overall season with San Francisco, Havig joined the organization in 2010 as the athletic trainer for rookie-level team in the Arizona League. He climbed to short-season Salem-Keizer the next year, spent the 2012-13 seasons with Single-A Augusta and the next three years with A-Adv. San Jose. Havig earned his B.S. in Kinesiology and Health Promotion - Athletic Training from the University of Wyoming in 2008 and an M.S. in Exercise and Sport Science from the University of Utah in 2010. A resident of Omaha, Neb., Havig is certified by the National Athletic Trainers Association and National Strength and Conditioning Association..
Medici is back with the Flying Squirrels for his second year as the strength & conditioning coach in Richmond and his third overall with the San Francisco organization. He previously held the same role with San Jose in 2017 before joining the Richmond staff last season. Prior to joining the Giants, Medici served as the physical performance coach in the Colorado Rockies organization with the Modesto Nuts (A-Adv. - California League) in 2016. The Flying Squirrels begin their tenth season on April 4 at The Diamond, and Opening Night will feature a special appearance by former Braves, Padres and Giants star Ryan Klesko. Group packages are available now at squirrelsbaseball.com or by phone at 804.359.FUNN (3866).